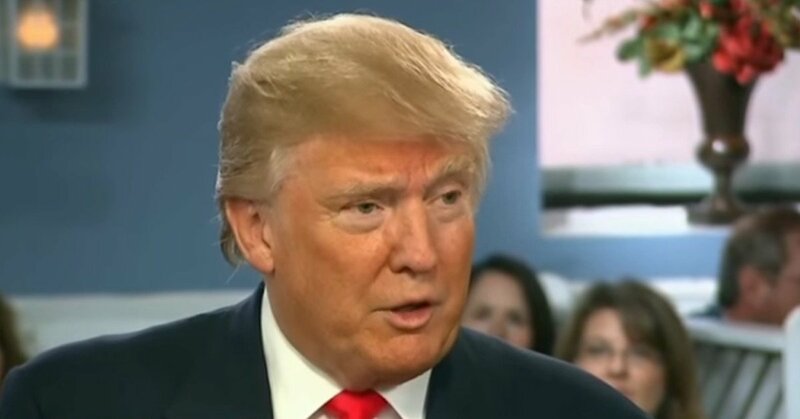 TRUMP: I Would Replace Scalia With…. In the appearance, Trump stressed that it was difficult to predict just how Supreme Court justices would turn out, but that he was dedicated to appointing someone like the late Justice Scalia to the court. Trump also accused rivals Texas Sen. [score]Ted Cruz[/score] and former Florida Gov. [score]Jeb Bush[/score] of being responsible for Chief Justice John Roberts, who was nominated as a conservative but upheld the Affordable Care Act. “You look at where a guy like Ted Cruz pushed very hard for Justice Roberts. Everyone thought that was wonderful,” Trump said. He also mentioned Cruz’s support for Justice Roberts on Twitter. Ted Cruz, along with Jeb Bush, pushed Justice John Roberts onto the Supreme Court. Roberts could have killed ObamaCare twice, but didn't! Appearing before Trump on “Meet the Press,” however, Cruz attacked Trump’s record on the Constitution, saying that The Donald’s record of cavorting with Democrats made it unlikely that he would pick a justice with Scalia’s sort of conservative credentials. “I would note, look, how do we know Donald Trump’s record on this is going to be bad? He has supported liberals for four decades: Jimmy Carter, John Kerry, Hillary Clinton, Chuck Schumer, Harry Reid,” Cruz said.